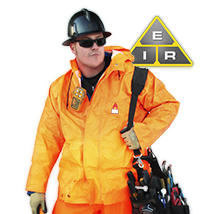 Quality safety clothing is an essential part of an industrial electrician’s equipment. No matter what type of work you do, your number one concern should always be safety. Rules and regulations are put in place to help keep industrial accidents to a minimum. 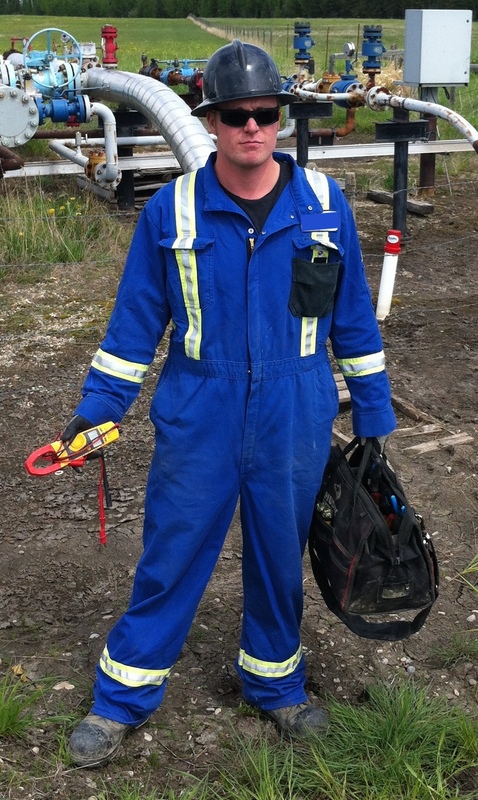 All types of safety equipment and clothing have been designed to prevent personal injury. Always make sure to wear the right protective gear for your job. As an industrial electrician, your job is already dangerous enough. Why make it less safe by not using the proper safety gear and equipment? You may be denied access to a site if you are not properly dressed, due to insurance requirements. Different situations will require different protection, but you will almost always need a safety vest, safety gloves and a hard hat. Wearing a safety vest is mandatory in most situations. The bright colors identify you as an industrial worker and help others see you better. Electricians work with a lot of wires and sometimes in tight spaces, this makes cuts and bruises a daily reality. Safety gloves protect your hands. A seemingly small cut can get infected or you might contract a serious blood disease. The hard hat protects your head from falling objects, and certain hard hats can withstand up to 20,000 Volts. Many industrial workers who spend several hours at a time on their feet need back support belts. This reduces strain on your lower back. You can find back support belts in a variety of styles and support levels. Industrial safety footwear is always a must on a construction site. You need steel toes and a steel sole. This will protect your toes from falling or dropped items and the bottom of your feet from sharp objects on which you might step. An industrial electrician should wear non-conductive footwear to reduce the risk of electrical shock. When working with electricity, there is always the risk that a fire will break out. This makes fire retardant clothing or fire retardant coveralls mandatory in most areas. Keep in mind, this safety clothing can only reduce the effects of the fire. You still have to follow proper safety procedures and put the fire out as quickly as possible. The chance of an arc flash is a real possibility when working with high voltage. 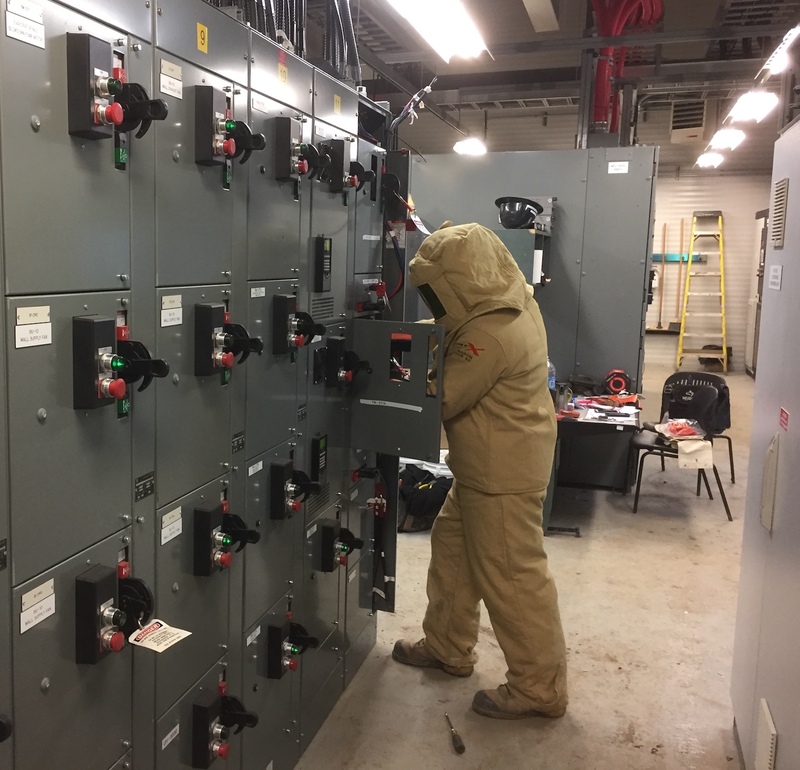 An arc flash is a type of electrical explosion resulting from a poor connection, or ground. 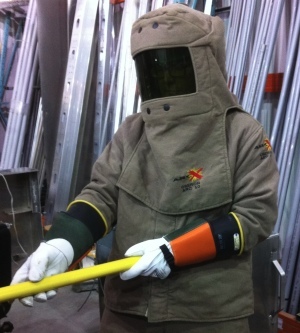 The best way to protect yourself from an arc flash is to remove the hazard. De-engerize the equipment to prevent an arc flash. However, the act of de-energizing electrical equipment is itself an arc flash hazard. 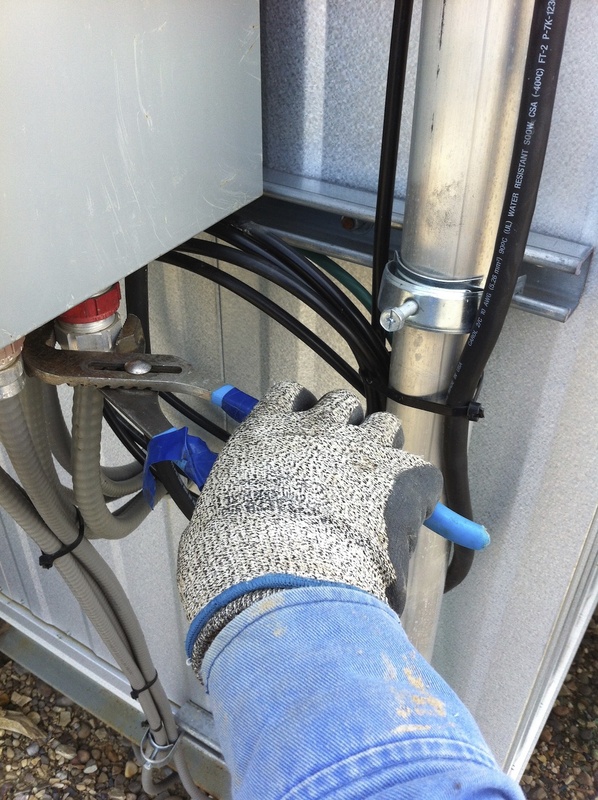 Newer solutions allow the operator to stand back far enough to prevent injury, but industrial electrical work is pretty much a hands-on job, so that solution will not be sufficient. As awareness of the dangers of arc flashes increases, industrial safety supply companies are beginning to offer better protective equipment. They are using materials specifically tested for arc ratings. Kevlar is another material widely used in safety clothing. It is used in sleeves, jackets, gloves and other types of clothing to protect you from cuts and burns. The material is lighter and thinner, making Kevlar gloves less bulky than old-fashioned work gloves. Working with Kevlar gloves is safer and easier. Be safe and get the right safety clothing for the job at hand. If in doubt, speak with your site foreman to determine what the minimum requirements are – and go beyond them. Your health is paramount to your future success, and proper procedures must be followed to ensure you go home safe each day. 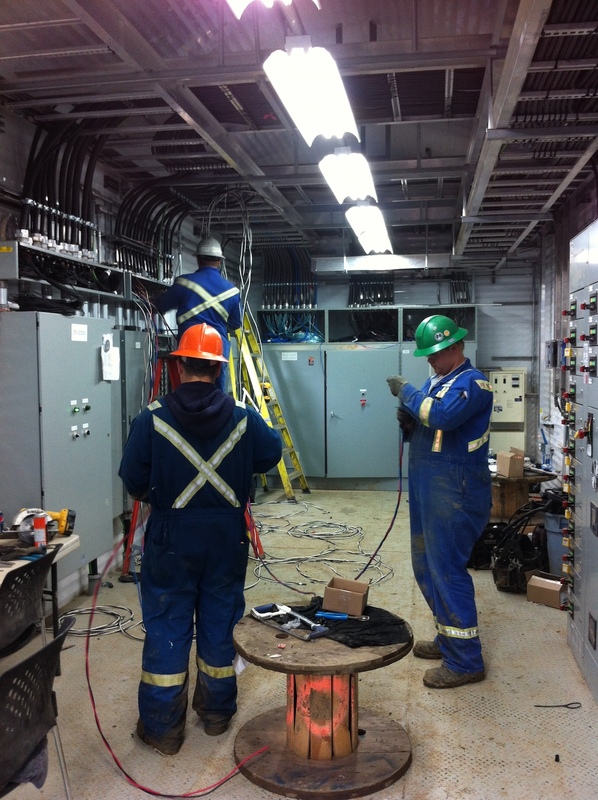 An industrial electrician is a safe job, if you are smart about safety. Be sure to read our electrical safety tips. Good equipment won’t help you if you don’t practice safe workplace habits.